Gaming and technology go absolutely hand in hand. Especially when the handheld phones are getting smarter every day, gaming is becoming more accessible and offering a fantastic experience. Games that began as computer and XBox centric, are today fast climbing on the Android bandwagon to woo the player with the greatest Android MMORPGs (Massively Multiplayer Online Games). These games have a huge fan following among gamers and the reason behind this popularity is its ability to let you interact with a large number of players within the virtual world. Its worldwide revenue exceeded half a billion dollars in 2005 and has surely grown beyond $30 billion by now. 5. There are endless possibilities for character customization, weapons, places, powers, etc. 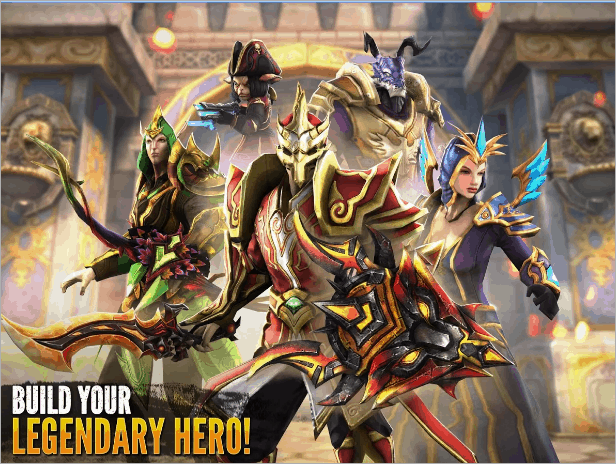 Legion of Heroes features dynamic real-time action, PvP, and guild wars. You get to explore a world that is full of fantasy where you have to hire, train, customize and gear up your heroes and build your own squad. The game allows you to collect 100+ unique heroes and you discover the real story as the game progresses. Your team is fully customizable and you can dominate other players in real-time open-world PvP. You can compete against other guilds in massive 45v45 PvP Guild Wars to rule the world. The game also allows you to chat with other players and Game Masters in the chat room. 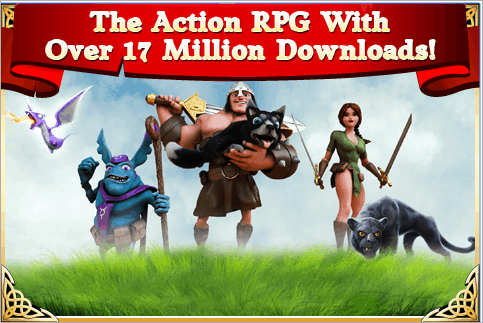 Pocket Legends is one of the best MMORPGs for Android where you can join millions of players from around the world. It allows you to play online with friends in fast-paced Co-Op or PvP action. One can progress in the game by defeating enemies and bringing back justice in the land. While doing so, you get to unlock special powers and abilities and these can be customized to suit your play style. The game is all about your wild adventure in creepy dungeons, frigid mountain peaks, and steamy swamps. There are thousands of weapons, items, and gear to use. You can play Pocket Legends across Wi-Fi, Edge, 3G or 4G networks. 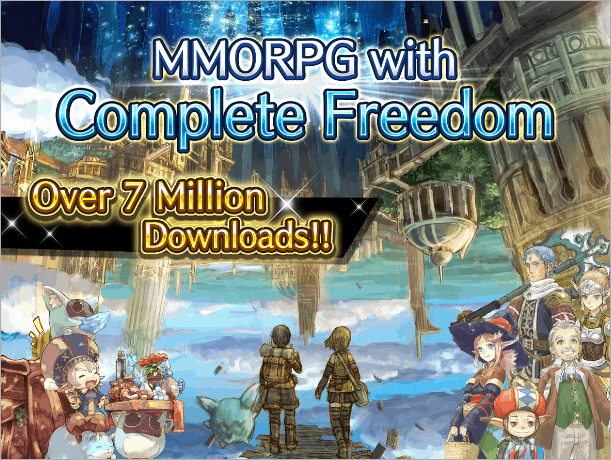 With more than 10 million players, IRUNA can easily be of the most popular Android MMORPGs that has over 160 tales and extensive stories to explore. The characters are infinitely customizable and you can choose the gender, hairstyle, hair color and even facial features of the characters. There is a job changing system in the game where you can switch between around 40 different professions. You can team up with 4 players to defeat powerful enemies. The game allows you to chat with up to 100 players in your Guild and challenge the bosses at the Channel. Your island is customizable with various objects. 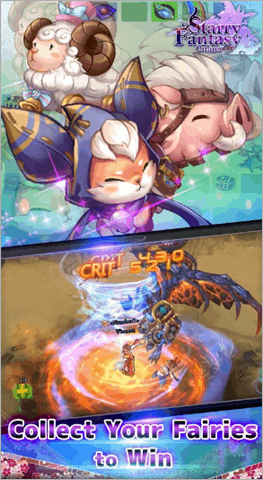 Toram Online is another great MMORPG game for Android that has come a long way in giving players overwhelming gaming experience. The game has endless customization and you can create your own characters with more than 50 billion dress patterns. This MMORPG doesn’t have a class system. You can easily build your own character with the skill system. If you are looking to explore a good 3D world, Toram Online will not be disappointing. In the story set hundreds of years ago, a cataclysm has occurred and split apart the Earth. The 12 gods put back the Earth in haste, and the landscape of the world has totally changed. After the nations get destroyed by the cataclysm, the four tribes form groups across cultural and racial backgrounds. As a player, you are the adventurer in the game where you have unique characteristics. Enjoy this massive 3D world with your friends by playing, communicating and cooperating with each other to fight monsters and other great obstacles. Final Fantasy XV is full of adventure that you can enjoy. As the hero of the game, you get to build your own kingdom, discover powerful magic, and dominate the realm. All this can be done with your friends too. 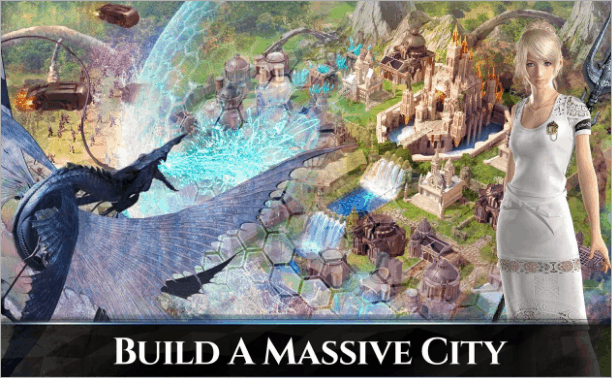 The game is a strategy video game with city-building elements. Players have to build a base and upgrade their structures by mining resources. They train armies to defend against attacking players and set wall defenses. The game is free to play but has some in-app purchases. You have to compete for the Crystal against players from all over the world. You can become a legend by taking control of the Crystal and rolling the Realm. 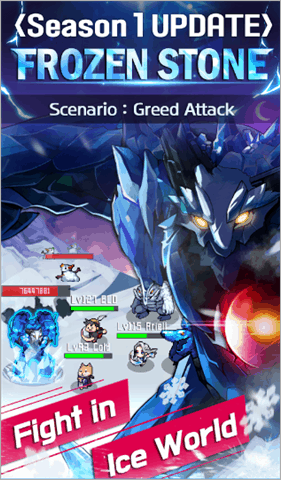 With Final Fantasy, build a powerful army and create the best strategy to win in this real-time action-packed battle. 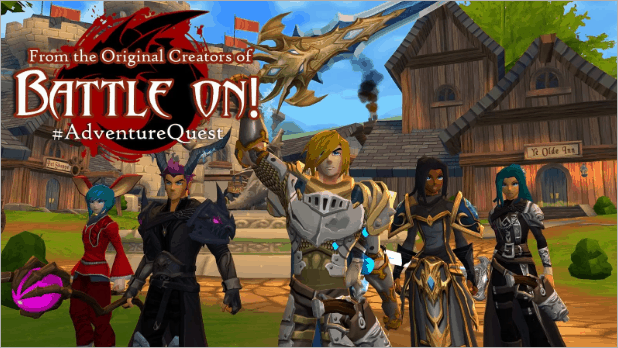 If you are looking for a true cross-platform fantasy MMORPG, AdventureQuest 3D is a game that you must try out. 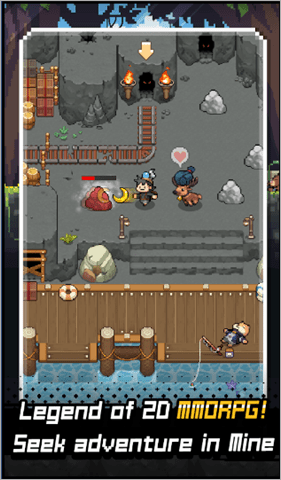 It has the unique features of MMO including cross-platform gameplay, a fusion of weapons, and allows players to play on the mobile as well as on the computer. The game has a mechanism called “sidekick system” where the players can invite a friend to aid them in combat. There is an expanding world with new areas, monsters, items, adventures, and quests. Arcane Legends is one of the oldest and most popular MMORPGs around with classic gameplay. 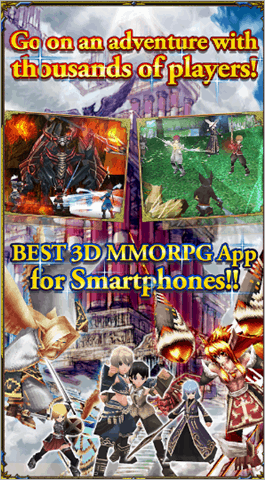 It is an awesome fantasy action RPG and MMORPG perfect for tablets and phones. It is an adventure through dungeons where you fight bosses, find loot, join guilds and collect pets. Arcane Legends is a massive 3D world game with quests that are full of castles, forests, and dragons. There are other evil forces attempting to destroy the kingdom of Arlor. You can play this game with three different classes, dozens of skills and a variety of items to customize your hero. 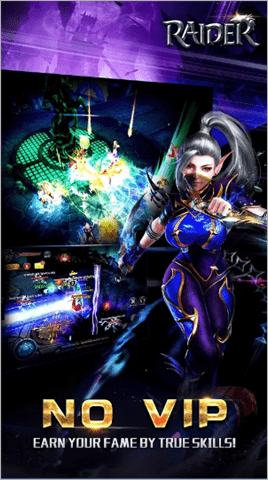 Aurcus Online is a simple but deep combat system where you can simply tap to release skills, the non-targeting system gives you the freedom to combat. You can destroy enemies by combining easy-to-control strikes and skills. The game lets you enjoy PvP with your friends. There is an arena feature where you can fight against one another. You can even fight with the character that you have trained, and that can become super exciting. The chat feature lets you communicate with your friends anytime. 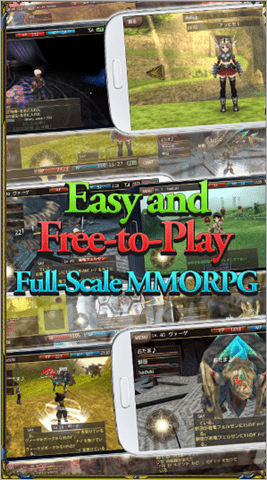 Many players seem to prefer this as the best Android MMORPGs. 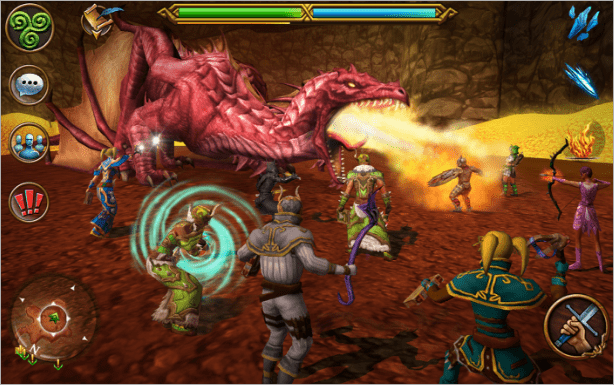 Celtic Heroes lets you explore the 3D world of magic, Warcraft, and adventure. Besides this, you can team up with millions of players from around the world. It is a real-time MMORPG with action and adventure. You can be a Celtic hero and lead your clan to victory in this epic journey. The characters are customizable, and you can master and enhance your skills to match your own play style. There are five fully customizable character classes to play. These include Warrior, Mage, Druid, Ranger, and Rogue. You can earn and trade thousands of weapons, armor and other items. Crusaders of Light redefines the entire MMORPG experience. Once you start your journey by choosing your character from any class of Warrior, Ranger, Mystic or Paladin class. Each one has its own strengths and characteristics as seen in many other games. There are 40 guildmates to join and you have to take on bosses and collect loot in the dungeon raids. You can prove yourself in arena battles with one vs. one, three vs. three and five vs. five modes. The 300+ hours of gameplay includes hundreds of paths to explore the game in a vibrant fantasy world. There are thousands of weapons, armor, and clothes, including some rare items providing specific advantages. 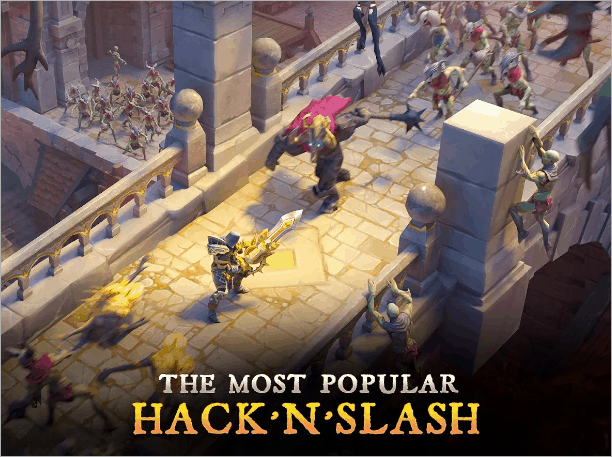 Dungeon Hunter 5 is the most trusted, popular and intense best Android MMORPGs that allows you to join forces with millions of bounty hunters online. The story goes like this: Fate has thrust the land into an age of chaos that ultimately ushered in the rise of darkness. Now people have to defend themselves against bandits, monsters, and other unspeakable terrors. The game is an ultimate hack and slasher where you will be hunting down monsters, dark knights, devil’s minions, and other enemies. There are amazing animations for your heroes and attacks that make your gaming experience more satisfying. 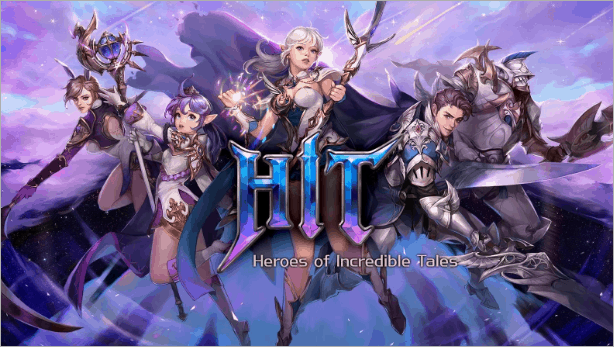 HIT is one of the more compelling MMORPGs where you can build your own character and interact with a world of monstrous foes. You aim to conquer foes in real-time PvP and arena brawl. 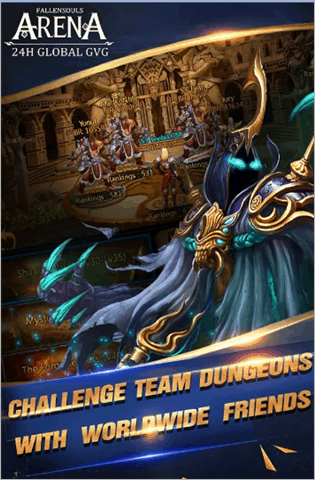 The game includes guild tournaments (3 vs. 3 guild war), real-time PvP duel arena, 6-player brawl arena, and friendly 2 vs. 2 and 3 vs. 3. The simple controls, massive combos, and splendid skill effects make this game super exciting. The endless equipment, weapon enhancements, and costumes let you customize your hero to fit your play style. Infinite Black is an online space combat and adventure game. 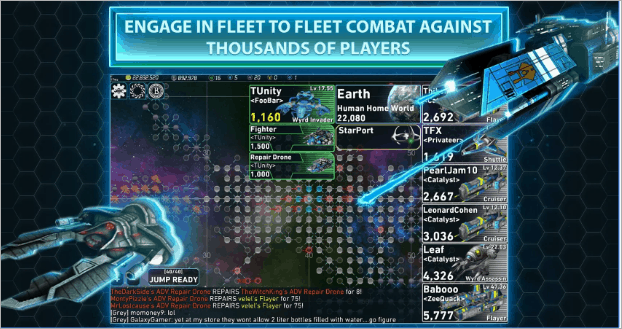 The game lets you command massive spaceships, form powerful corporations, and battle it out in never-ending warfare. You will need to hunt bounties, fight aliens, loot treasures, earn achievements, and customize ships with a variety of items in order to win this battle. 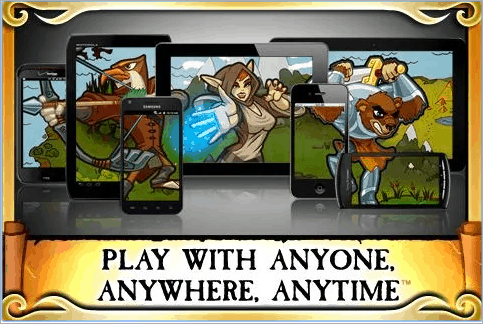 The game connects friends and enemies via cross-platform servers on the desktop and mobile platforms. Izanagi Online MMORPG is not very popular yet but is an amazing game with great graphics. It is a full-scale role-playing game with over 100 quests. 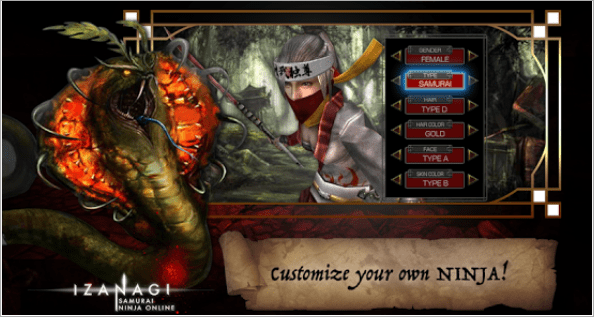 You can choose your class, mage, cleric or warrior and have great fun enjoying the world of ninja action. Each class has its original skills with a number of combinations to expand how you battle. The game comes with breathtaking actions and some of the best graphics you would find in an MMORPG. The characters are designed by Takashi Okazaki who is best known for his Afro Samurai. 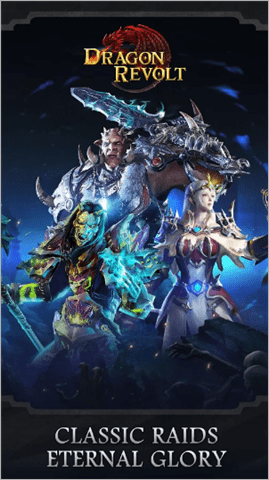 Order and Chaos is one of the most popular, successful, and robust MMORPGs that has won over many players with its gaming experience. 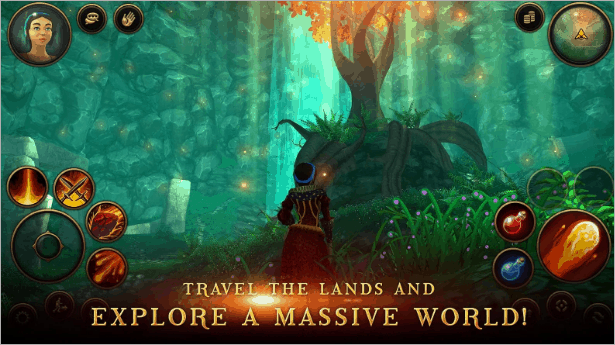 The game lets you explore a vast and unique world that is brought to life with superb graphics. There are five races to choose from Orc, Human, Elf, Mendel, and the all-new Kratan, and five classes to quest as Blood Knight, Ranger, Mage, Warrior, and Monk. 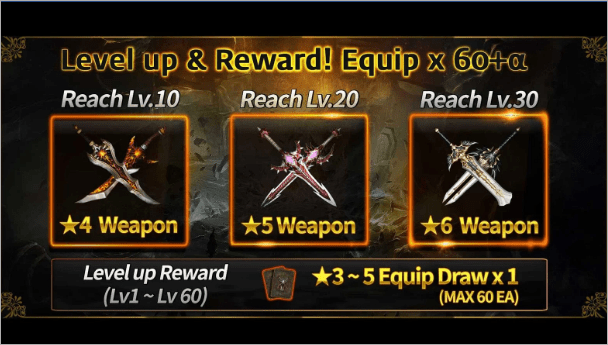 You can easily upgrade and evolve your weapons to move ahead in the game. In difficulties, you can gather a team of heroes to quest through the toughest dungeons. 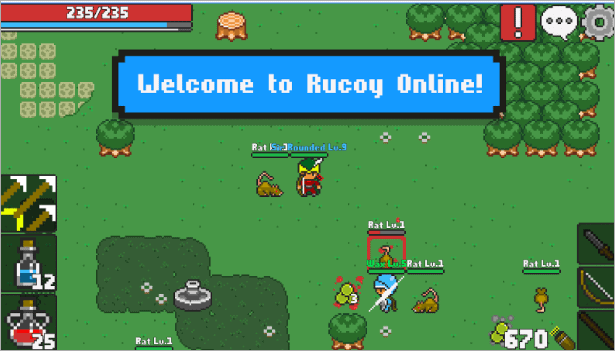 Rucoy Online is a unique approach to MMORPGs (graphic wise) where you fight monsters with your friends in real-time. It features PvP where you can play as Knight, Archer or Mage. You can switch between these three characters. You are free to increase your levels and skills without limitations. Chatroom feature allows you to chat with your friends. There is no account registration needed. All you need to do is just link your character to your Google account. Along with PvP, it also has co-op modes to give you the best experience while playing MMORPG. 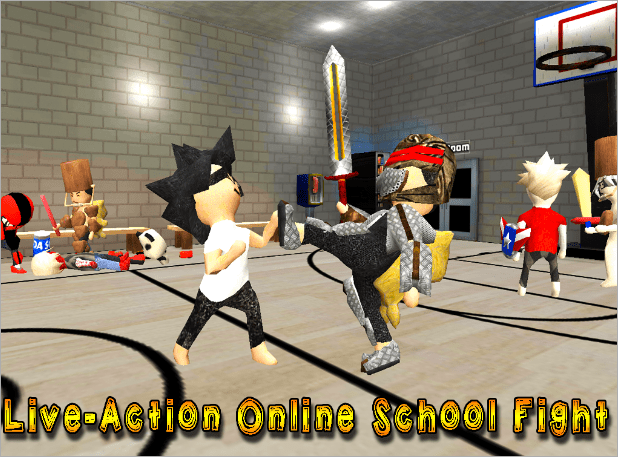 School of Chaos is an interesting, exciting, and cunning game that is all about bullying, and school fun. The zombies eat the teachers and the school has no rules to follow and has become chaotic. As the teachers are eaten by zombies, the kids are free to do anything they want. What will you do in such a situation? You have to make friends, train hard and gear up to participate in this quest. There is a Quest Maker that allows you to make your own quests for others to play. The characters are customizable with over 5 billion different possibilities. There are over 30 different fighting moves to defeat your enemies. You can even buy houses, furniture, and throw a house party with friends. 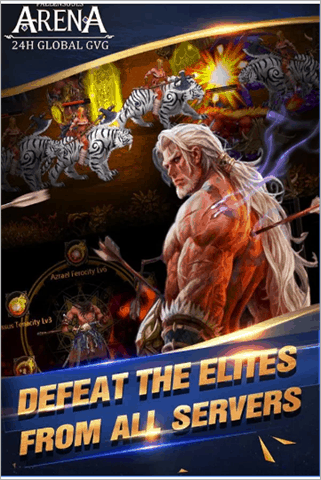 This can be a good choice as the best Android MMORPGs. Warspear Online is another classic 2D MMORPG that has come a long way with millions of players from all around the world. You can choose your side in the War of the Spear. The game features 4 races and 2 alliances. These are Firstborn and Chosen vs. Mountain Clans and Forsaken. There are 100+ expert skills for personal skills and 100+ relics for enhancing basic skills. You can customize costumes, haircut, and hair color of the character. There are 150+ personal achievements with unique rewards. Warspear lets you explore 8 huge islands and dozens of dungeons with treasures. 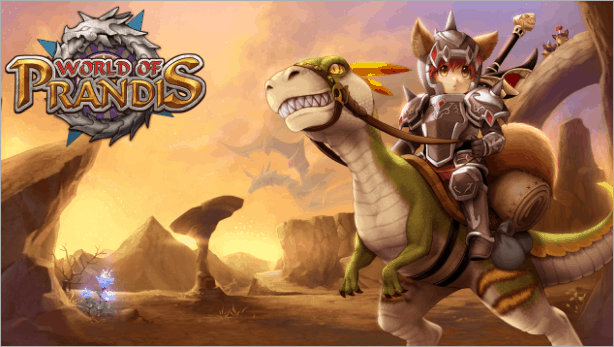 World of Prandis Open World MMORPG is challenging and it features Arena, Battlefield, Dungeon, Raid, and RvR. There are two regions Vir and Femina that are hostile to each other. You can play with six classes; Warrior, Paladin, Hunter, Assassin, Mage, Warlock. One can use job skills like mining, gathering, fishing, cooking in this seamless open world. 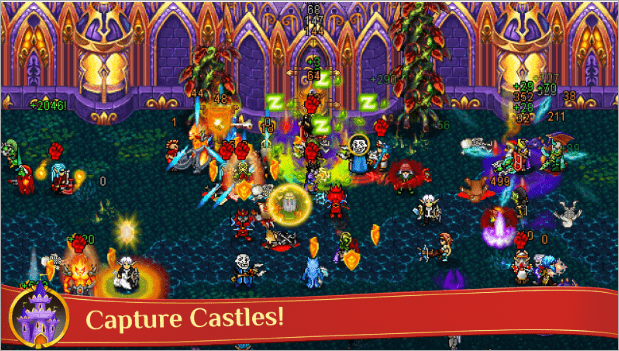 The game is popular with 4000+ monsters and 2000+ users in one world. It’s worth a shot. Stellacept Online has exciting adventures where you have to help out the girl that represents your Zodiac sign. In the game, the 12 sisters of the Zodiac have appeared in the Vinculum Upper, and they are collecting material to gift chocolate to one special boy. Stellacept is a wonderful game that allows you to impose the most devastating attacks simply by tapping the screen. One can chat in real time with other players and help each other. You have to be a soldier who fights against the terrific Tarazed to save the people of Sadalsuud. Google IDs are used to verify the Android versions of Stellacept Online. Fallensouls is a real MMORPG full of excitement and intense gameplay. This powerful kingdom is ruled by three mighty races. In addition, you have to be the hero who joins the war and use your power to bring back the peace to this world. In this game, one can travel the realm as a noble human, a bloodthirsty orc or one of the mighty undead. You can band together with your friends and take on the toughest dungeons. Here is a game that is about defeating powerful bosses and reap awards. You can lend your power to a friendly guild and grow stronger with your new allies. The game is a world of might, darkness, revenge and great treasure. 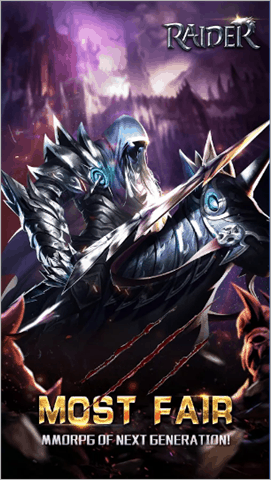 With Soul Taker MMORPG you explore the world of ‘Misilen’ find the intriguing truth and face betrayals through the Quest, Event dungeon, Tower, and Raid. The strategy of the game is to form a party using your character and three souls. You can choose the souls from the various classes and these can have multiple skills. There is an auto hunting mode that even beginners can follow easily. The high-quality 3D graphics make this game more interactive and engaging. Soul Guardians is a wonderful combination of action RPG and CCG where you have monsters, charming characters, and maps to play with. 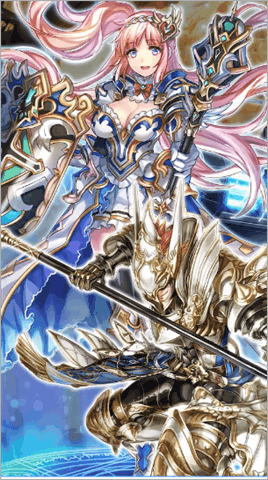 It has over 300 different Soul Arts cards with unique skills and abilities. When the SoulArts is activated, up to five card characters are attacked with unique skills. There are 20 kinds of characters with different attack motions and skills. 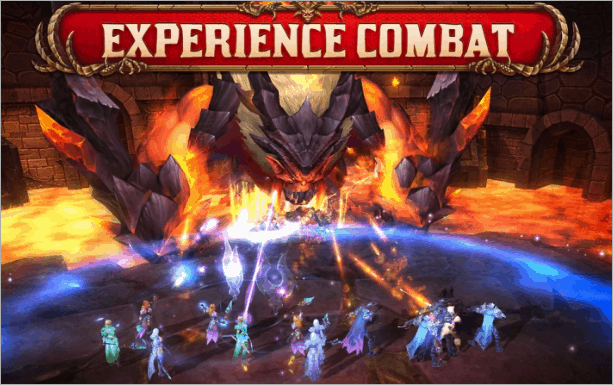 There are a variety of dungeons that makes it fun to defeat the monsters and bosses and makes it one of the best Android MMORPGs. 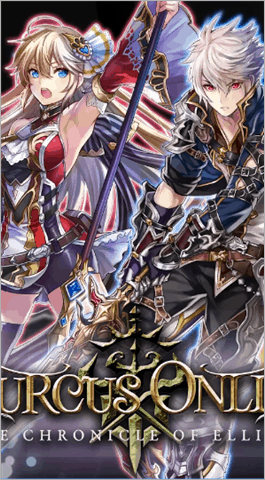 Starry Fantasy Online is one of the best MMORPGs where the story is about a war between humans, fairies, and demons in a western mythological fantasy world. You have to be a hero and save the world. 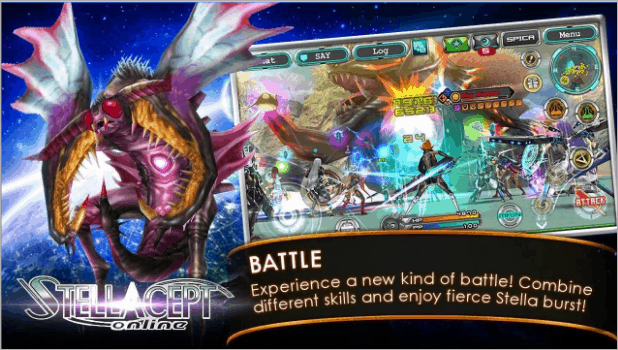 The game features real-time battle with other players where you can team up with friends worldwide. It has PvP fighting mode and there are four classes to play; Warrior, Mage, Priest, and Gunslinger. In addition, Starry Fantasy even allows you to upload selfies in your personal blog and you can add friends and send gifts to them. 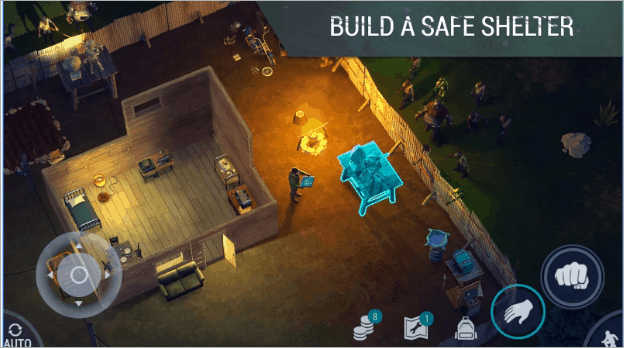 Last Day on Earth is a free to play MMORPG where all the survivors are driven by one target. It is just to stay alive and survive as long as possible. Unlike other MMORPGs, there is no place for friendship, love, and compassion. Nobody is trustworthy in this game, and you have to just trust yourself. Besides this is a post-apocalyptic game infested with walking dead zombies. You are alone against other survivors and you need to keep calm to survive. One has to explore new territories and shoot all the zombies coming your way. Plague infection, wild animals, hunger, thirst, and cold can kill you faster than a walking dead army. The zombie shooter game has some in-app purchases, but you can disable them on your device. Dragon Revolt is a war based game that has 110 levels where you get stronger with each level surpassed. If you are ready for some crystal and blood, then be prepared to show off your style with wings and new mounts. There are two warring factions; Rosseland Empire and Asta Blood League. The factions have different tasks, objectives, and battle styles in continuous war. Although there are three classes and six races to choose from, you will enjoy this game. Each hero has six unique skills. The game lets you build your legend in 4v4 arenas and 12v12 battlefields. Raider Legend is one of the best MMORPGs games for Andriod and is considered one of the fairest MMORPG experiences. It has a brand new concept where players will be competing with real skills with balanced stats settings. The visuals are great and will immerse you in the incredible 3D graphics and effects. There are up to 17 maps to be explored. You have to prove your power by climbing to the top of rank. The game allows you to grab resources in Resource War where you should also deal with assaults from other players. 3D MMO Villagers & Heroes is a great and epic MMORPG that is filled with sorcery, swords, dungeons, dragons, wizards, and warriors. The game includes epic lair battles against the Elders of Mallok to get the best raid gear. Furthermore, there are eight fully customizable character builds to play; Defender Warrior, Fire Wizard, Holy Priest, Assassin, Swift Warrior, Ice Wizard, Shadow Priest, and Bow Master. You get a chance to craft and trade thousands of weapons, armor, and items. The game works on consistent updates with an active development crew. Grow Stone Online is an adventure to find the legendary stone. 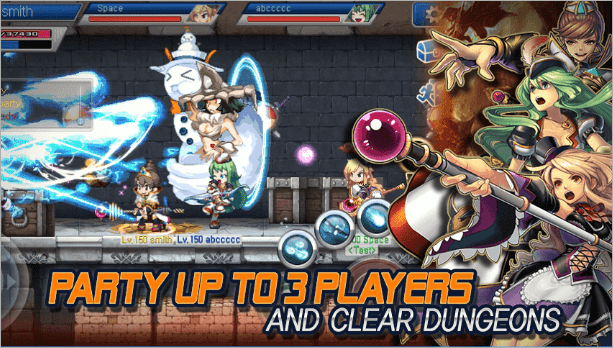 The game is simple to play; just tap and touch and one of the best Android MMORPGs. If you are busy, you can use the auto function. There is a knife, bomb, arrow, and stone to use as weapons and you can combine them to make the best move. 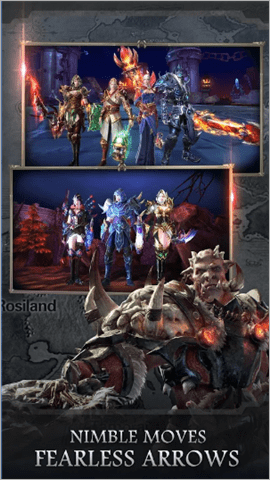 You can enjoy Castle Battle with your clan and hunt monsters. Build a clan and be the best of all clans. When you are done, celebrate it by Party Hunting. You get the chance to meet various avatars and you can decorate your avatar with armor, accessories and much more. 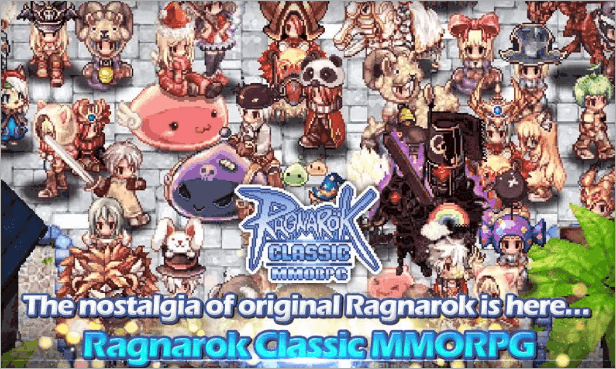 With Ragnarok Classic, join the adventure and play with thousands of other players in real time to complete quests, missions, and battle against each other in the PvP Arenas. 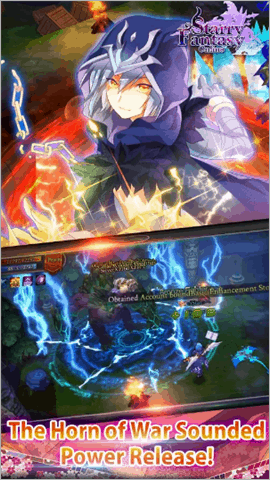 The touch interface and simplified UI for the best mobile gameplay make this game more flexible to play. The fast action-adventure gameplay is at your fingertips. In, addition, the Auto Party System helps co-op play and interaction between players. There is a new mercenary system, and new battle arenas to explore. There are hundreds of other MMORPGs, but these are some of the coolest ones with seamless gameplay and are highly addictive. Whether you want to play in space or in dungeons, the choices are lined up here. With access to multi-features that are highly customizable and games that are almost never-ending, it is always fun to play with others whether they are your known or unknown friends from across the globe. 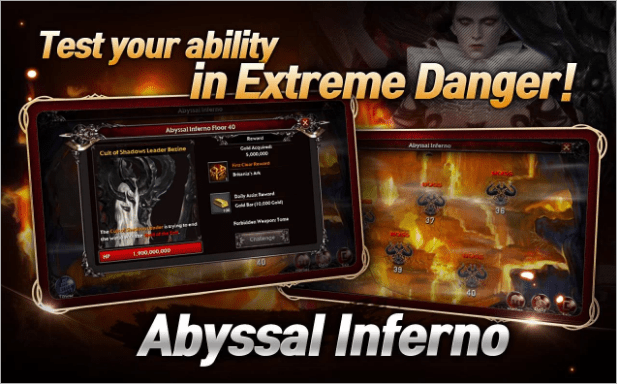 Anyone of these best Android MMORPGs will definitely work for you.